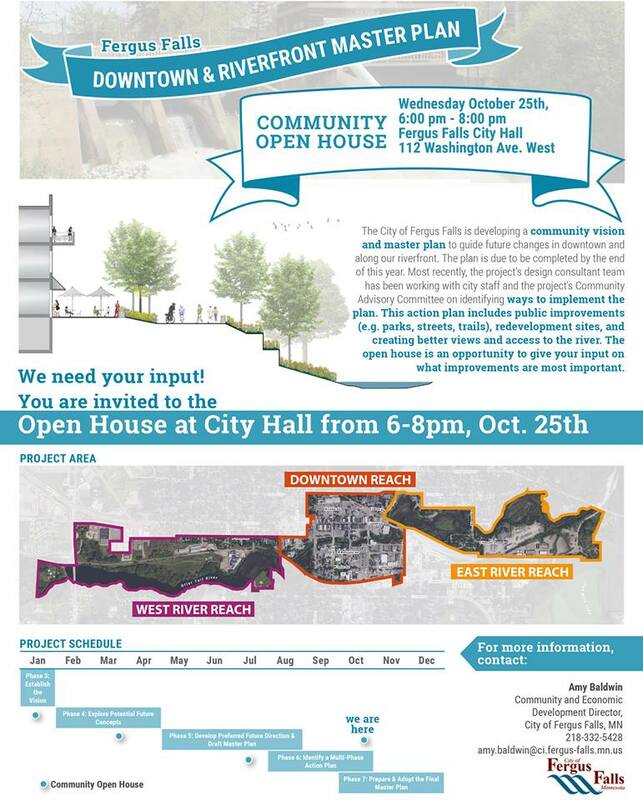 In 2015, FFDRC encouraged the City of Fergus Falls to create a Master Plan for the Downtown and Riverfront, to provide an outline for future development. The City agreed and in mid-2016, it retained a planning firm. The Master Plan process is ongoing and is expected to be completed by the end of 2017.